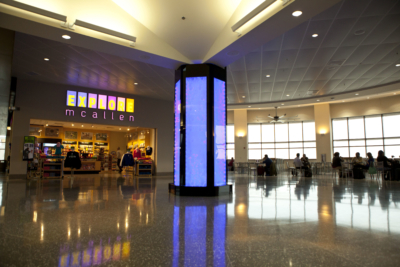 The McAllen International Airport was recently awarded $2.06 million in Federal Aviation Administration Airport Improvement Grant funds. The money will improve safety as well as replace aging infrastructure at the airport. The grant awards $1,285,830 for Taxiway A and Runway 14-32 safety improvements. It also includes $720,000 for cooling tower improvements. Additionally, a ten percent local match portion comes from the McAllen International Airport Passenger Facility Charge program.